Tournride.com uses its own and third party cookies to improve its services. If you continue browsing our website, we understand that you agree with the use thereof. You can check our Cookies Policy for more information. 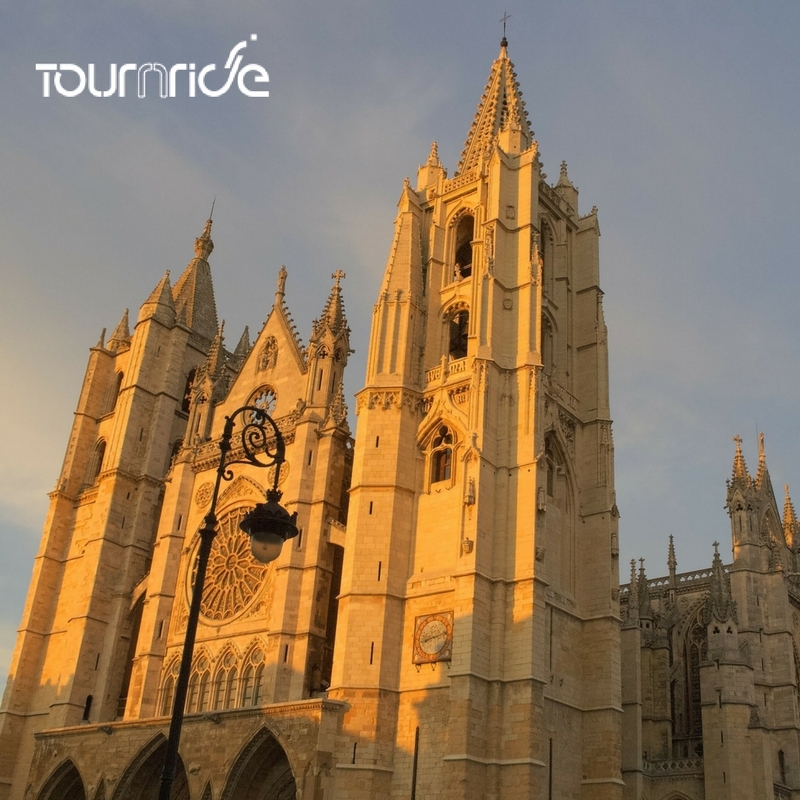 If you are considering starting the Way on Saint James by bike with the services offered by Tournride, perhaps you may be interested in knowing more about one of the most popular cities among pilgrims to start the French Way: Leon. Leon, located 300 km east of Santiago de Compostela and an obligatory stopping point in the French Way, is an historical city with a medieval area brimming with life. The city offers different kinds of cultural and tourist attractions. If you are a bit lost and do not know the best way of spending your time in Leon, in Tournride we have made for you a 40 minutes route that will take you through the most interesting paces of this great historical city. However, what concern us today are not the general tourist attractions of Leon, but only a certain one: its recognition as the Cradle of Parliamentarianism. 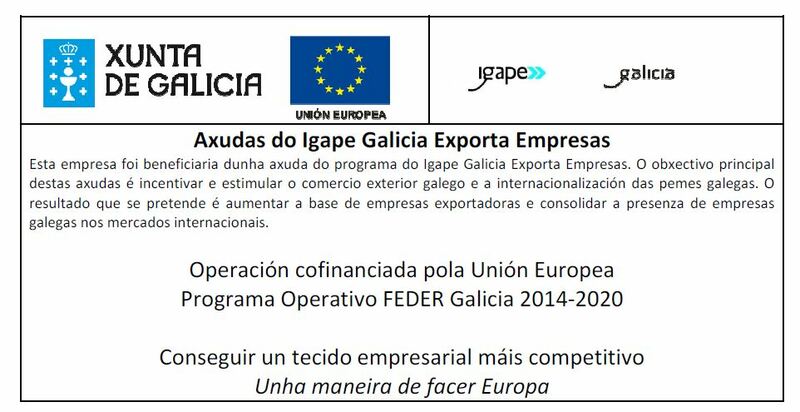 The Unesco give Leon this title in June 2013. The acknowledgment did not go unnoticed and aroused some controversy, specially among those who believed that the origin of parliamentarianism was in London, but the Unesco had the final say. Let’s see why. The year was 1188, and the Iberian Peninsula was divided in several kingdoms: the Crown of Leon and Galicia, the Crown of Castilla, of Aragon, the Kingdom of Navarra, of Portugal and the Taifa kingdoms in the south. Being the peninsula in a war situation, the economical position of the Crown of Leon was not a good one. The endless Reconquista –started in the 9th century due to Christian kingdoms trying to expel Muslims out of the peninsula- was not over yet. In addition, Leon should also fight against Castilla and Portugal in both fronts. All this led to the Crown of Leon to create new taxes. The people, already impoverished by an endless and futile war, did not take well the news. They demanded a regulation of the Crown’s expenses. It was the reign of Alfonso IX, crowned King of Leon and Galicia in January 1188. To redress the situation, he decided to summon a Curia Regia in the cloister of San Isidoro de Leon’s collegiate. But, what is this thing called Curia Regia? In medieval times, it was a political institution created to advise the king. But the one of 1188 was not a regular Curia Regia. For the first time in the history of the crown, the advisors were not only members of the nobility and the church, but also representatives of towns and villages elected by the ordinary folk. This unusual event caused that the Curia Regia of 1188 become a precedent as the first Courts in history. The “decreta” of Leon of 1188 were created in this event, recognized as the earliest written evidence of a parliamentarian system in Europe. These decrees contain rights and freedoms of citizens, and bind any individual of the kingdom to abide by the law, without regard to their social class, from the very monarch to the most humble of peasants. These decrees provide a model of government in which the ordinary folk can participate for the first time, electing their representatives who will have decision-making power alongside the King, the nobility and the church. It is this historic milestone documented in writing what makes Leon worth of the title of Cradle of Parliamentarianism. Because of this, if you visit the old town of Leon, it is a must to see the collegiate church of San Isidoro, the place where this historic event took place. The 12th century architectural complex has the status of historic artistic monument. The ornamented arches of the church and the Roman gallery conserved in the cloister take us back to medieval times without any effort. 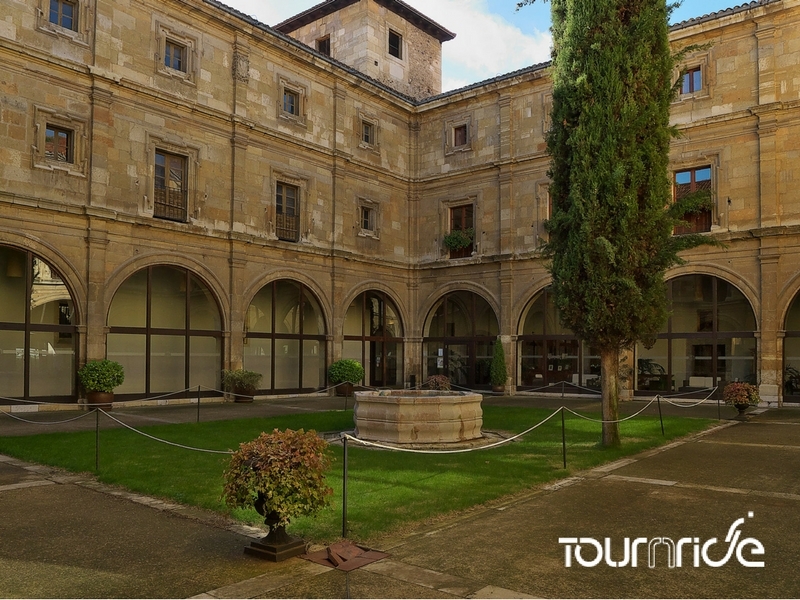 The entry to the church is free; to visit the cloister, the Royal Pantheon and San Isidoro Museum, from Tournride we recommend the guided tour offered for 5€. The Royal Pantheon is really well-preserved, with vaults covered in 12th century paints, and it is worth a visit. You won’t find there, though, the grave of King Alfonso IX, since he died in Sarria, at an old age, while he was doing the Way of Saint James. He was buried in the cathedral of Santiago de Compostela. Now that you have learned a bit more about the city of Leon, maybe you will feel inclined to make an stop along the way to visit the Cradle of Parliamentarianism. A place full of history. Not only of kings and rulers, but the history of ordinary folk: the people that carry the course of true history in their hands.